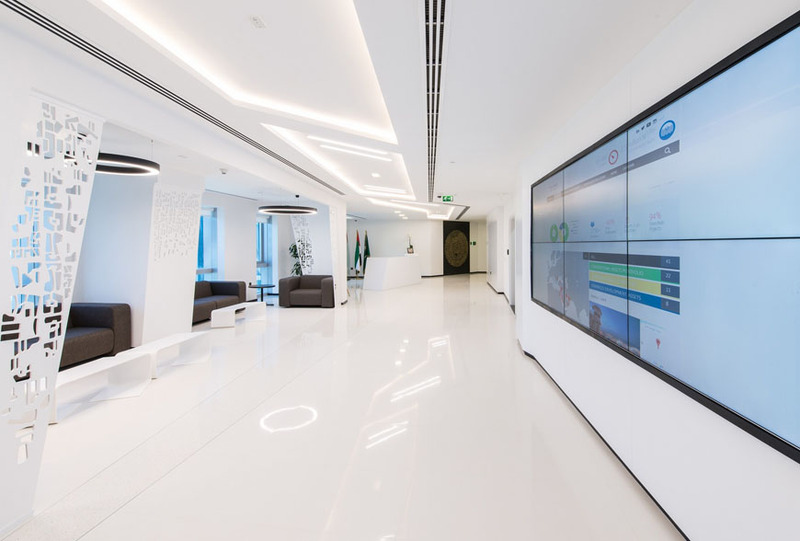 Dubai’s commercial fit out market has experienced a greater demand for office workplaces that meet the expectations of the ‘Millennial Generation’ who are reshaping designs for office fit out in Dubai and the rest of the UAE. This ambitious, tech-savvy generation has notably different working styles and preferences than other generations and place much higher value on the office environment and workplace culture. Designers, architects and workspace experts have started to introduce these principles into their projects to increase user satisfaction and productivity. Millennials look for collaborative working environments where they can share ideas and learn from their colleagues. As ‘digital natives’ they rely on 24/7 connectivity to technology so they feel less reason to be tied to a desk. Offices that are designed to encourage collaboration via cleverly integrated sharable ‘digital spaces’, such as a top-of-the-range conference rooms, help to foster collaboration and improve creativity and productivity within the workplace. Transparency is one of the top qualities that Millennials look for in leaders – honest, open cultures where there are limited barriers between management teams. This is reflected in office fit outs in Dubai where the focus is shifting towards open and airy spaces. Glass partitions for office cubicles are increasingly favoured over gypsum partitions. However, these open spaces also need to be balanced with private areas. Millennials want to know their colleagues are always approachable, but also want to enjoy their own privacy when they need to concentrate. ‘Rethinking’ the use of space has fast become a top priority for companies in order to encourage employee engagement. Many Millennials want to feel that their company really cares about their wellbeing and this has seen a rise in the demand for health amenities in the workplace. From yoga rooms, to pantries stocked with free and healthy foods and sleep corners, companies are increasingly understanding the role that the physical environment plays in promoting wellbeing at work. ‘Millennial offices’ are firmly shaping the future of the corporate real estate industry. By 2020 Millennials will form 50% of the global workforce and, according to the World Economic Forum (WEF), the UAE is the top emerging market destination for young professionals looking to further their careers. Interestingly, a survey carried out by HSBC’s private banking arm showed that the UAE has the youngest successful entrepreneurs in the world. Investing in the office fit out should not be considered an extra cost, but an investment that has a positive impact on employees’ happiness, productivity, and loyalty. This will, in turn, enhance the organisation’s overall success. As Millennials continue to dominate the workforce, companies must adapt to new ways of doing business in order to retain employees and encourage productivity.